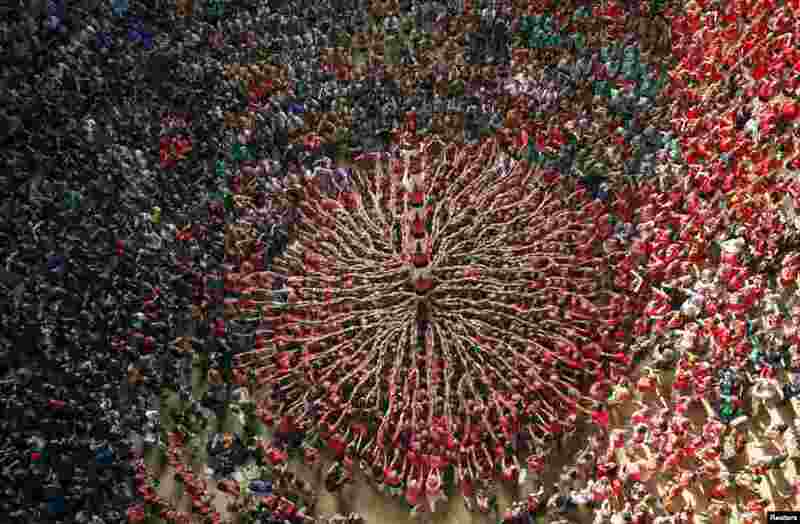 1 Castellers Colla Vella Xiquets de Valls form a human tower called "castell" during a biannual competition in Tarragona city, Spain. 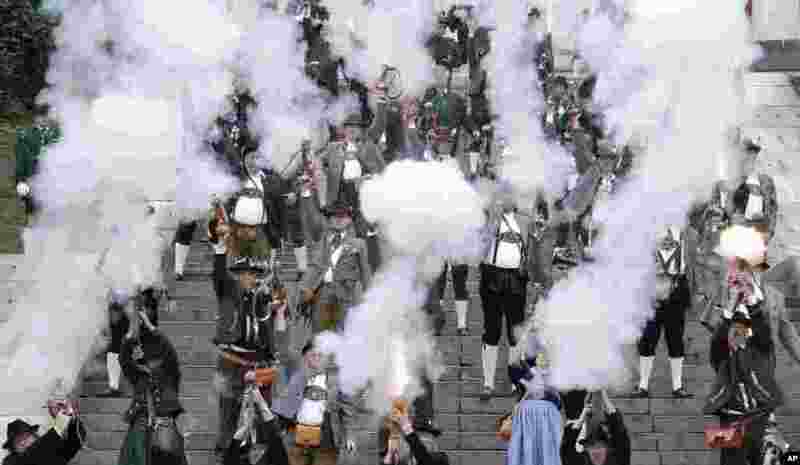 2 Bavarian riflemen and women in traditional costumes fire their muzzle loaders in front of the 'Bavaria' statue on the last day of the Oktoberfest beer festival in Munich, southern Germany. 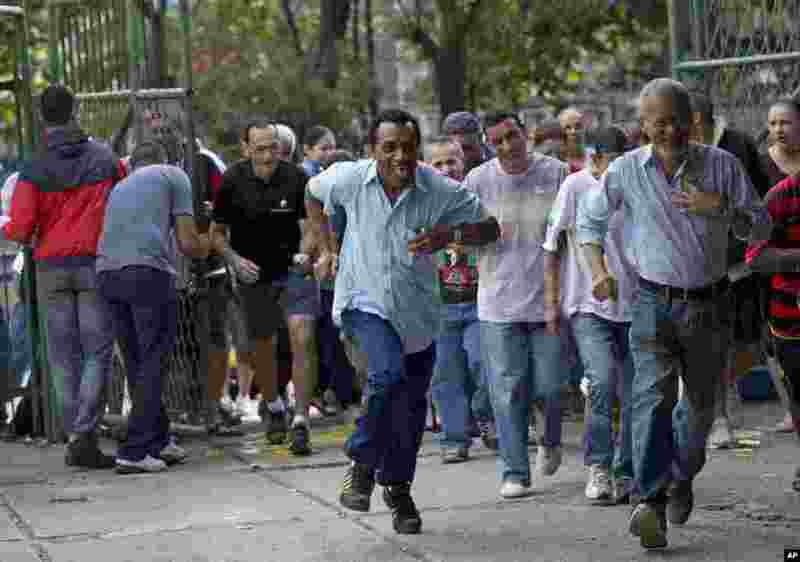 3 Voters begin to run toward the voting booths after a school's gates were opened for general elections in the Rocinha favela in Rio de Janeiro, Brazil. 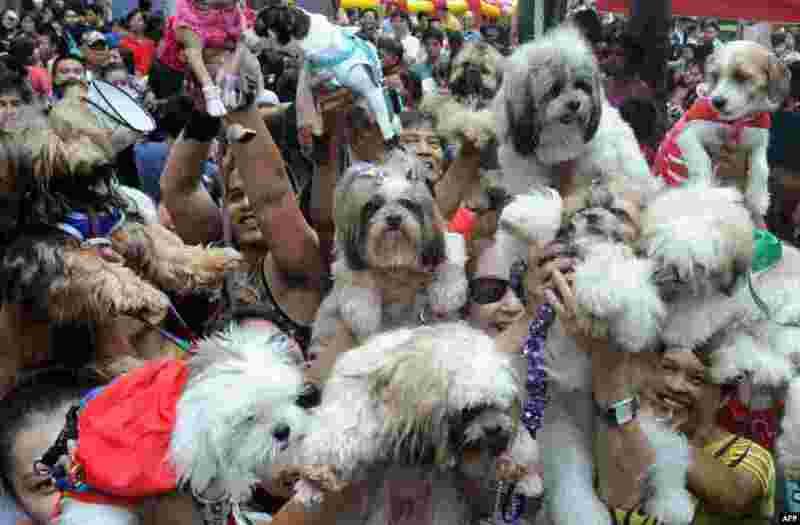 4 Owners raise their pets for a blessing from the Roman Catholic church to celebrate World Animal Day in Manila, Philippines.